2nd day on the Sacred Mountain. 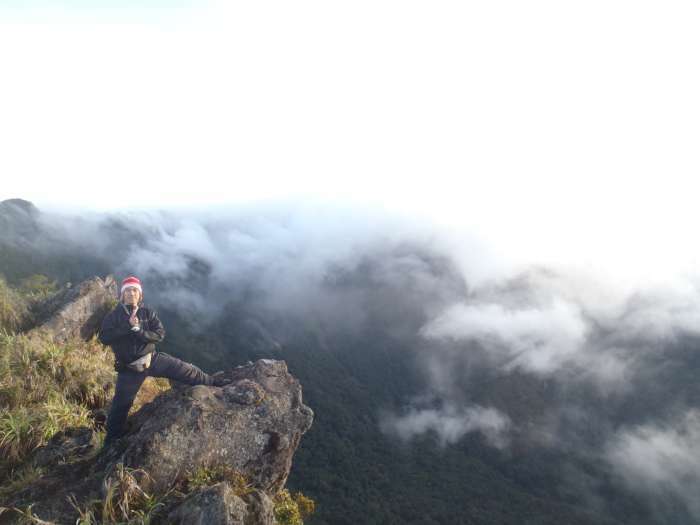 I asked a friend to take a picture of me on the edge. If you look down, it is really steep. And down below, if you look carefully, you can see some red and white streams. The sea of clouds here at Mt. Banahaw is different, when the wind is too strong, you must be far from the edge to avoid that down-draft winds that may take you with it. I’m sure there were accidents here before but unheard of in the news. It is hard for the climb party to separate ways going down. 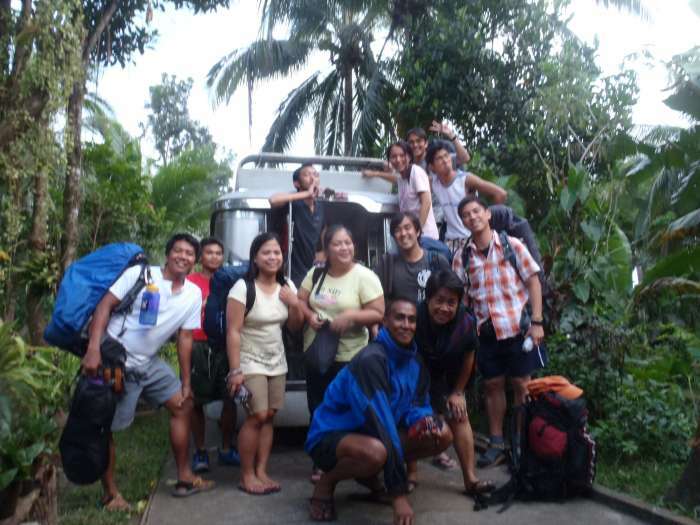 Half of the group decided to take the way back through the “Tatlong Tangke” trail. 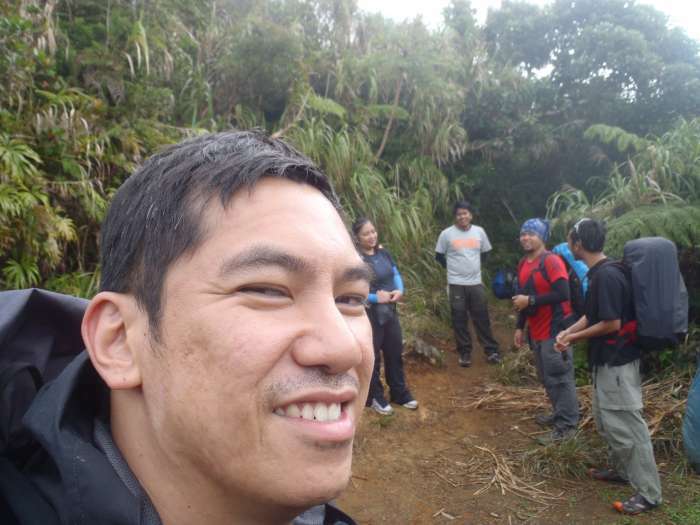 Then the other five of us: Phil, Julius, Ken, Miho & myself, decided to go with the original plan- “Cristalino” trail. The reason for pushing through? Attractions: a couple of falls and a big cave, all shrines. Mt. 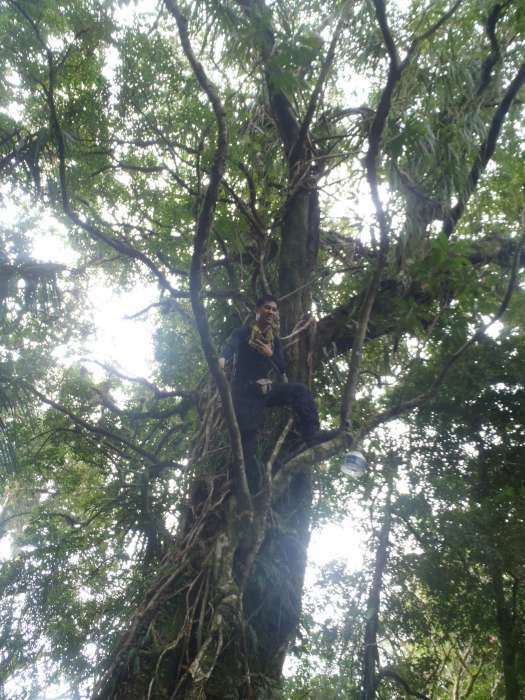 Banahaw is one of the mountains which I’ve seen that has so many big trees in it. 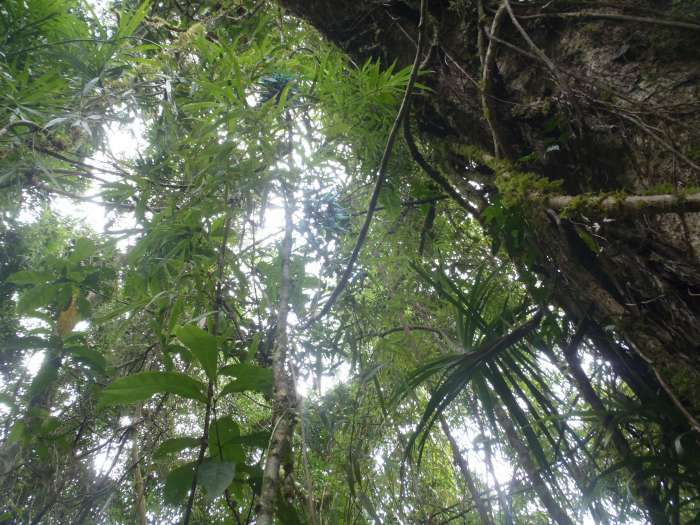 The trail is practically covered with a lot of bushes, “teka-teka” plants and “lipa” plants. 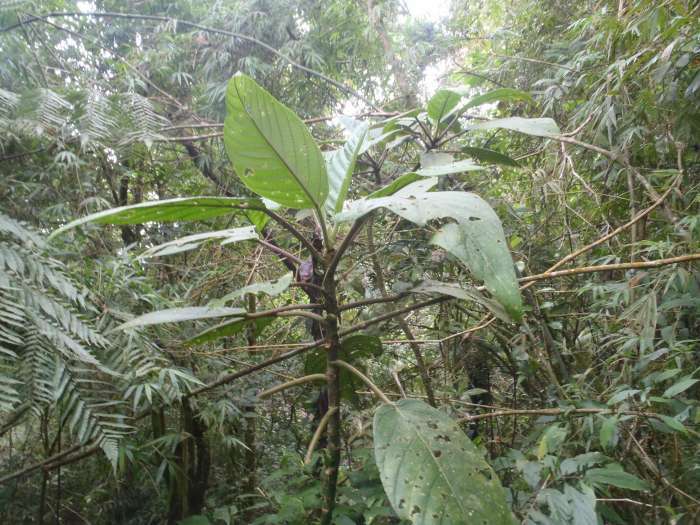 Once your skin gets in contact with a “lipa” plant, your skin will suddenly feel an itchy+burning sensation. According to folk lore, the remedy for this is to cut the plant and boil it <- this is quite funny but I haven’t really tested it. I’ll stick with the knowledge I gor from Mr. Mario from Malipunyo that in order to fight the itch coming from “lipa”, use another itch causing “gabi” to counter it. 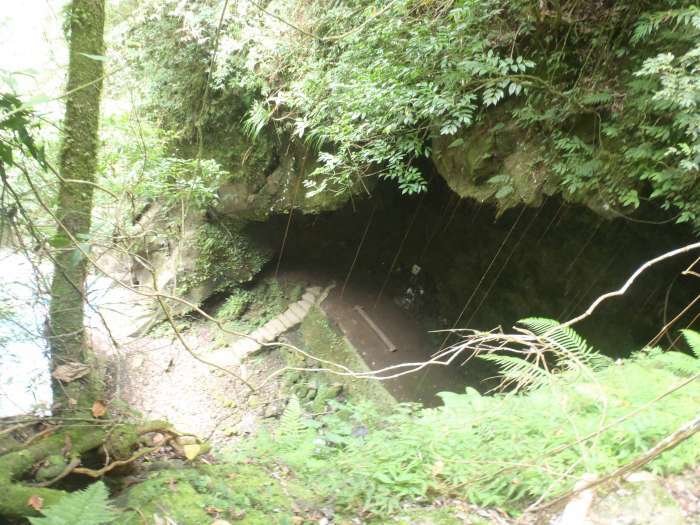 According to the guide, this is actually a cave, but would only allow chosen beings to pass through. And according to legends, this is a certain passageway that connects the other worlds including Mt. 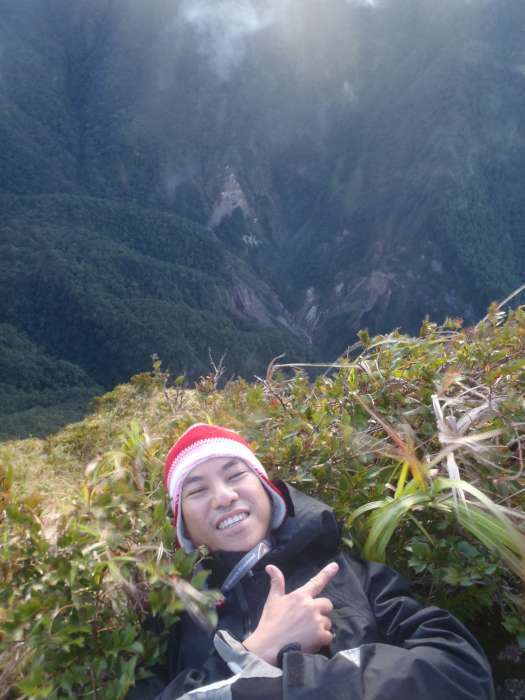 Makiling, Mt. Maculot & Mt. Arayat. 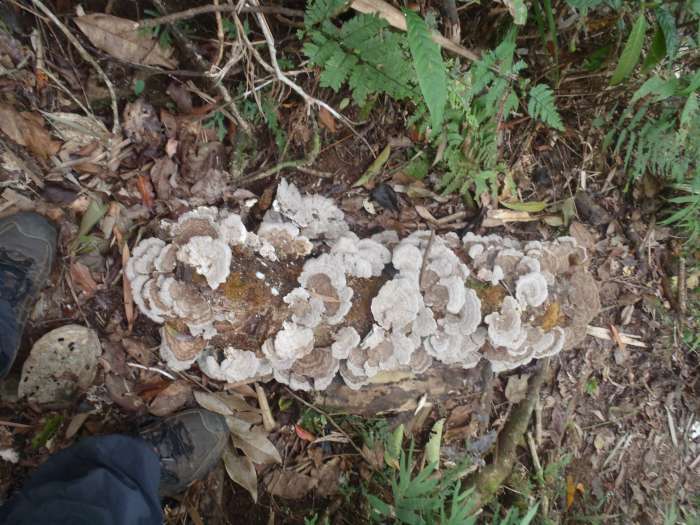 Wild mushrooms are free to inhabit dead trees. Kopi luwak anybody? The civets are one of the endangered species that inhabit Mt. Banahaw. “Musang” in tagalog, these animals are cited also in the other mountains of the Philippines. 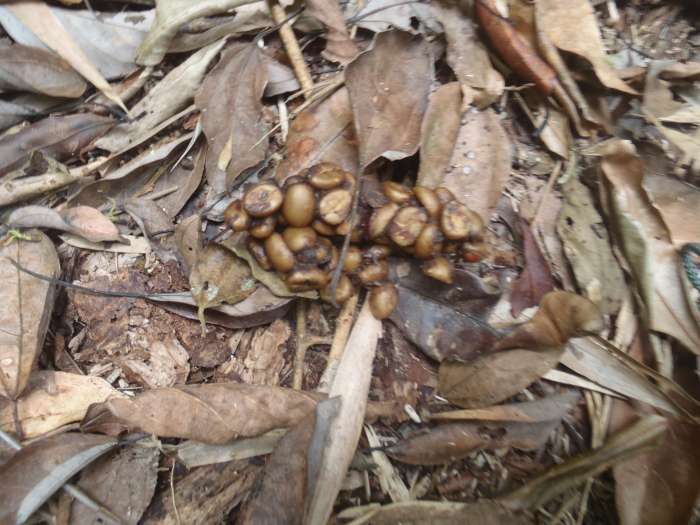 These coffee eating civets produce the best coffee the world has known- the Kopi Luwak! Can you see the blue “Alembong” orchids? Blue “Alembong” orchids are hanging on trees, paving a good trail with patches of fallen blue flowers petals. “Alembong” means ‘flirt’ in English. 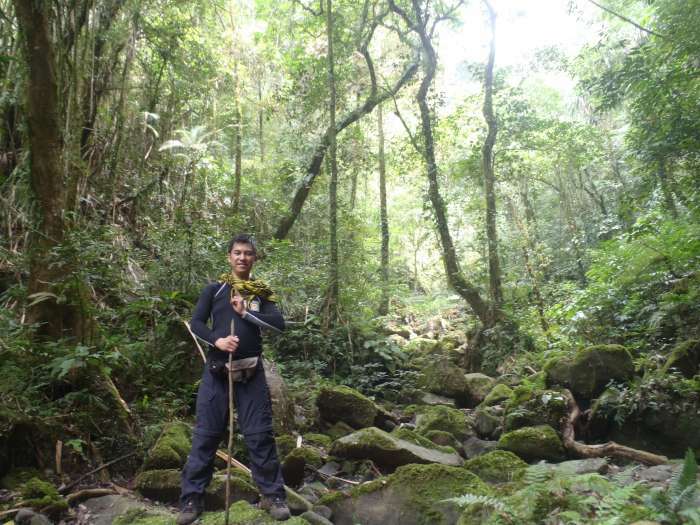 The trail leading to the “Kweba ng Dios Ama” is not necessarily easy as you need to scramble on varying sizes of rocks leading to it. 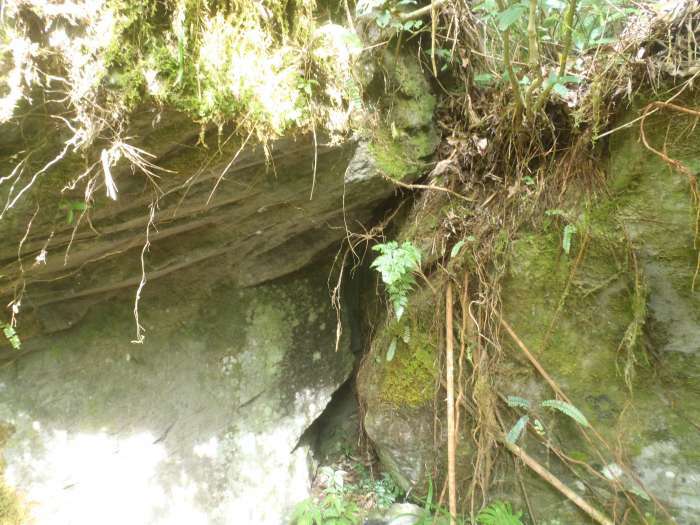 In the “Cristalino” trail, there are a couple of rope sections, but these rope sections seem to have aged. There is also a make shift wooden pass that make a cliff passable. The look of the “Kweba ng Dios Ama” from above is thrilling. At the “Kweba ng Dios Ama” we took rest, and our lunch here. 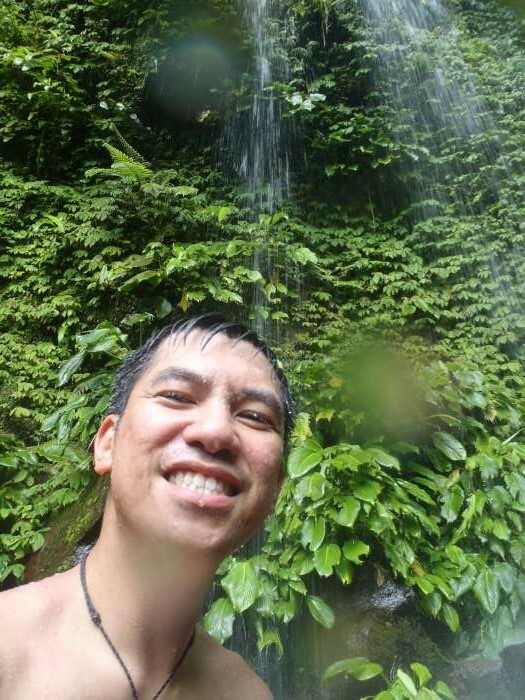 At the side of the “Kweba ng Dios Ama” there is a small falls, this a good water source. The picture at the alter is interesting, the camera was unable to capture the glowing image of the “eye” the image of the God the Father. On actual inspection, it would seem to be glowing, luminous or giving of some kind of light. Mystical indeed. After the lunch and rest, we moved on. The next attraction was a small shrine “Aklat ng Buhay” shrine. 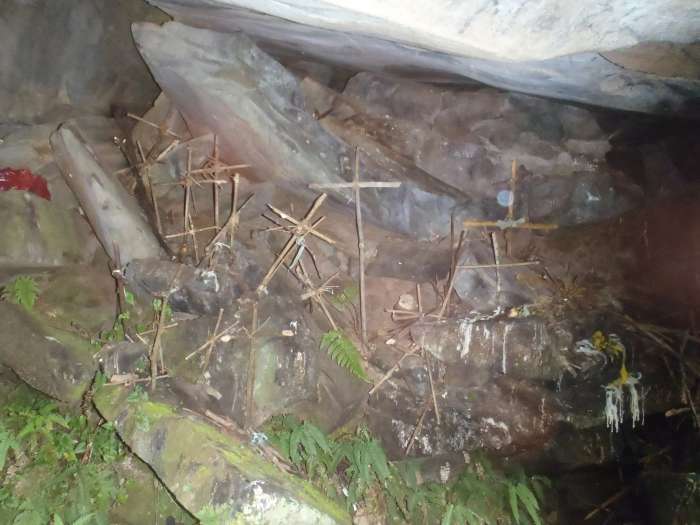 Then there was a small falls, “Salaming Bubog” (Mirror Shards) shrine. And the big “Cristalino” falls shrine. 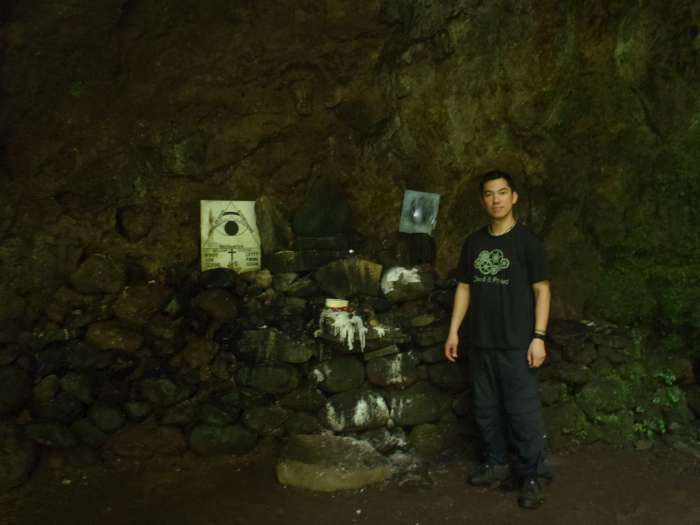 The pilgrims who frequent the mountain, are actually doing their pilgrimage in order from Cristalino going to the “Kweba ng Dios Ama” as the ultimate goal. It is said that the waters from the falls can heal physical illnesses and spiritual afflictions. After this climb, I considered Mt. Banahaw as my favorite mountain. Until the present day, no mountain has replaced this “favorite” status in my heart. Thanks to Voyagers Adventure Club for allowing me to join this event. 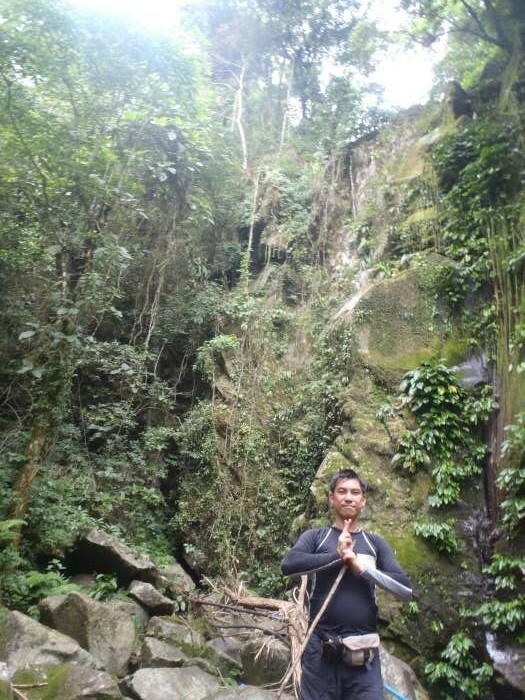 This entry was posted in Climb Log, Mountain, Mountaineer, Travel and tagged banahaw, climber, cristalino, hiking, kweba ng dios ama, Mount Banahaw, mountain, mountaineer, mt. 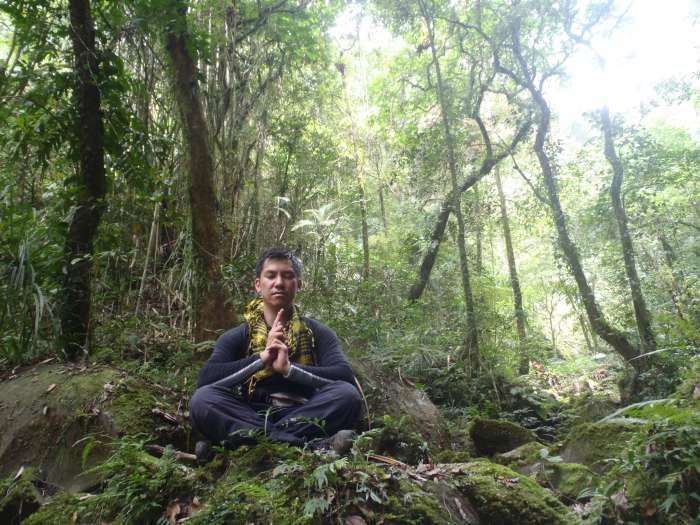 banahaw, outdoors, Philippines, sacred mountain, salaming bubog, travel, vac, voyagers adventure club. Bookmark the permalink. Gusto ko makapunta jan!! Ganda! !